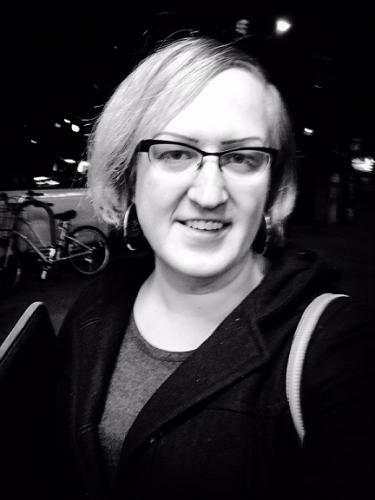 Trace Peterson will join WGSS in spring 2017 to teach Transgender Cultural Production. Trace is a scholar and poet. Her research interests include transgender literature, transfeminism, 20th and 21st century literature, creative writing, and poetry and poetics. She recently designed and taught an innovative course dedicated to transgender poetry in the English Department at Hunter College in 2015. She is the author of the poetry book Since I Moved In (Chax Press, 2007), and numerous chabooks, and is Editor/Publisher of EOAGH Books, a small press which won the first Lambda Literary Award in Transgender Poetry this year for Succubus in My Pocket by kari edwards. Peterson is co-editor of the anthology Troubling the Line: Trans and Genderqueer Poetry and Poetics (Nightboat Books 2013/2015) which was a Lambda Award Finalist in 2014 and is now in its second printing, and she recently also co-edited Arrive on Wave: Collected Poems of Gil Ott (Chax Press, 2016). Her recent scholarship appears in the peer-reviewed journal TSQ and forthcoming edited collections on contemporary queer poetics, and her recent poetry appears in The Best American Experimental Poetry 2016 (Wesleyan University Press) and online at the Academy of American Poets (poets.org).